The Toronto Real Estate Board reported 5,188 residential transactions in January. This result was up by 11.8% compared to 4,640 sales reported in January 2016. Annual rates of sales growth were higher for condos than for low-rise homes. January picked up where 2016 left off: sales were up on a year-over-year basis while the number of new listings was down by double-digit annual rates for most major home types. Home ownership continues to be a great investment and remains very important to the majority of GTA households. As we move through 2017, the demand for ownership housing will remain strong, including demand from first-time buyers who could account for more than half of transactions in 2017. It will be difficult for many buyers to find a home that meets their needs in a market with very little inventory. The MLS® Home Price Index (HPI) Composite Benchmark price was up by 21.8% on a year-over-year basis in January. The average selling price was up by 22.3% to $770,745, with double-digit gains in the average prices for all major home types. The number of active listings at the end of January was essentially half of what was reported as available at the same time last year. There is a serious supply problem in the GTA – a problem that will continue to play itself out in 2017. 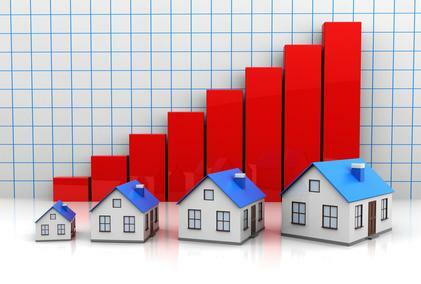 The result will be very strong price growth for all home types again this year.